An entry in the Churchwarden's Accounts for Wirksworth Parish dated 1611 is puzzling. It records a collection of 15 shillings for a good cause, but who is the person and where did he come from? An enquiry via the Google Answer Service may have shed some light. Also an email from Tom. Sorry the image is poor, its the best my scanner can do from microfilm! But its much clearer on my microfilm reader and I'm pretty sure of the words. 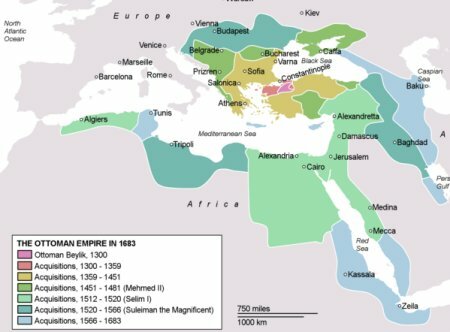 Where was "The Great Dukedome of Julhuamia" in 1661? that time with a name resembling the entry in the old Parish Register. and the "it" can indeed resemble a "ul". And there are other hints that "Julhuamia" is really Lithuania. the meaning of "Kraino", although it clearly sounds and looks Polish. 300 years ago may be futile. All I found is a modern village in Poland, Krainow north of Lublin. 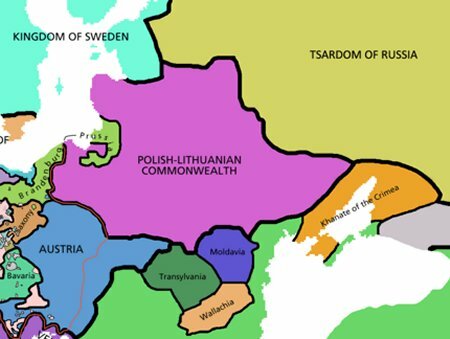 Kingdom of Poland and Lithuania. Atlas zur Universalgeschichte, published by List, 1980. "Susiana" and "Kusestan" were regions of Persia. speculation. I can't prove it. My Polish partner says that Kraino Kramsky is the old Polish for Crimea. most populous countries in 17th-century Europe. Crimea was aquired by the Ottoman Empire 1566-1683.
tens of thousands of Armenians  were deported to Persia. province of the Golden Horde. which were used to get slaves to be sold on markets. 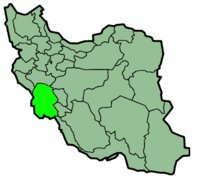 Khuzestan is one of the 30 provinces of Iran. Susa is one of its major cities. Hence the names Susiana and Kusestan.